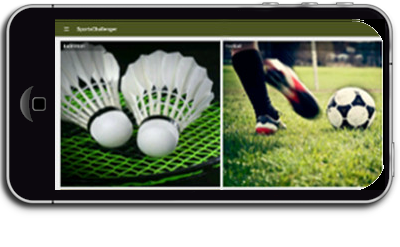 SportsChallenger is the app which helps you find people playing similar sports in your area. One can easily find team and schedule matches using this app.One can register as an individual player or a team or a sports organizer. After that person if logged in as a player, can see the sporting events created by teams nearby to find players. Teams can see the Sports Tournaments organized by Sports Organizers and challenge teams in their areas. Tournament organizers can organize the tournaments which teams can apply to. Organizers can restrict the teams can send notifications of selection or rejection. Bored of sitting at home watching TV or playing with mobile! Be Active better be Sportive!! Be a SportsChallenger.